To report an ongoing incident, Dial 911 if an emergency or call the non-emergency line at 508-799-8600. Emails are checked periodically; please do not use email to report an ongoing incident. 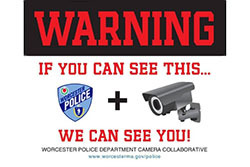 On April 16th, 2019 at about 7:40 PM, Worcester Police officers were dispatched to the area of Harlem and South Ward St for a report of gunshots. Upon arrival, officers observed a male gunshot victim lying on the sidewalk in front of 24 Harlem St. Officers saw that the male had been shot in the abdomen, and treated him medically. Paramedics arrived, along with additional police units, and the victim was transported to the hospital. On Friday March 29th, 2019 at about 1 AM, a Worcester Police officer was working an off-duty assignment at District Bar and Nightclub at 109 Water St. The officer was flagged down for a disturbance on the dance floor, in which several people were spraying beer on other patrons and were being asked to leave by security staff. 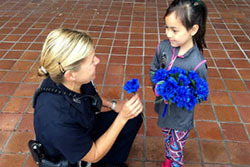 The officer assisted the staff in removing the unruly patrons. One of the males causing the disturbance, Concepcion Rodriguez, thirty-two-years-old of 5 Lucian St, began to taunt the staff and refuse to leave. When the officer walked toward him, Mr. Rodriguez shoved the officer backward and took a boxer’s stance. 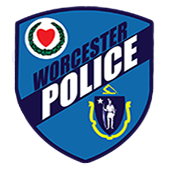 On March 22nd, 2019 at about 4:21 PM, Worcester Police officers were dispatched to the Mocine Salon at 258 Park Ave for a report of an armed robbery. Upon arrival, officers spoke with witnesses who said that a suspect wearing a ski mask had entered the spa, pointed a black handgun at employees, and demanded money. The male fled on a dark-colored mountain bike toward Pleasant St. 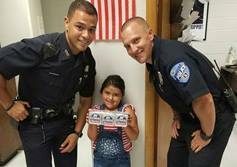 The community policing model is used by the Worcester Police Department. This department-wide model is based on providing service to the community in a timely and cooperative manner. The mission of the Youth Violence Prevention Initiative is to reduce youth violence through policy and system change and promoting trust, safety, healing and opportunities for Worcester's highest risk youth. How do I get a car seat installation safety check? Please visit the MA Public Safety Website to locate your nearest Child Safety Seat Inspection Site. How do I obtain a permit (sound/parade/work/animal)? Permits and the appropriate forms are issued by the Detail Office. There is a $5 fee for all permits (except Work Permits, which are $10) and the fee must be paid at the Record's window prior to issuance. The Record's window is open Tuesday through Thursday, 8 a.m. to 3 p.m.
How do I report an abandoned motor vehicle? How do I tow a vehicle off of my personal property? Choose a tow company of your choice. Call the WPD to report the tow at 508-799-8626. Please provide the plate number, VIN number, make, model and color of your vehicle, as well as the tow company who took the vehicle. What are the specific bail times? Bail is to be paid via cash or Certified Bank Check ONLY. When is the next Citizens' Academy? The currently scheduled Citizens' Academy is full. Future dates will be announced as they become available. The Citizens' Academy is a group of Worcester citizens who are interested in learning more about how their police department operates and the policing challenges our city faces. Participants in each session commit to meeting for three hours one night per week, for ten weeks, to learn about each aspect of the department. None scheduled at this time. However, at no time do the Worcester Police auction marked/unmarked cruisers, seized vehicles or motorcycles. Where do I pay speeding tickets? Speeding ticket payments are handled through the Registry of Motor Vehicles, NOT the Worcester Police Department. Where do I pay/appeal parking tickets? Parking ticket appeals are handled through Parking Administration, City Hall Room 203, Monday through Friday 8 a.m. to 5 p.m. You may call 508-799-1069 or File an Appeal Online. Which tow companies service the City of Worcester? Who do I contact for domestic violence assistance? Please call the WIN office number at 508-799-8610. Sergeant Kerry Hazelhurst is the WPD Public Information Officer. Questions can be directed to 508-799-8611. 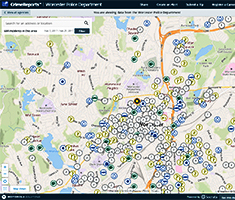 Citizens can now gain access to neighborhood-level crime incident data in near real time through our online partner, CrimeReports.com.